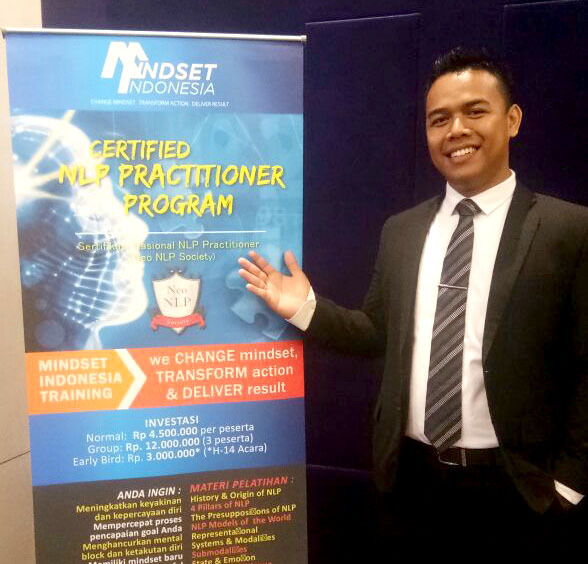 Pusta Hery Kurnia is a passionate NLP Trainer focusing himself on helping others making breakthrough in life. One of his mottos is "Everyone can succeed if they want to". The motto comes from his experience in seeing so many people from different background change their mindset, grow and then achieve greater succeess in life. So, if you want to level up your success, Pusta Hery Kurnia will be a great partner for you.